Surveyed and Photographed 27 July 2016 by Greg Gray, Trina Shuman and Jane B. Thompson, PCCPC Volunteers. 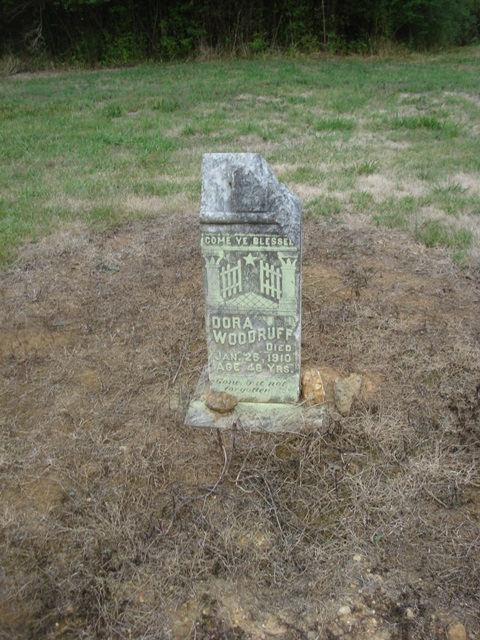 Directions: This grave is located at Prior Station at the RR. RR is no longer there. 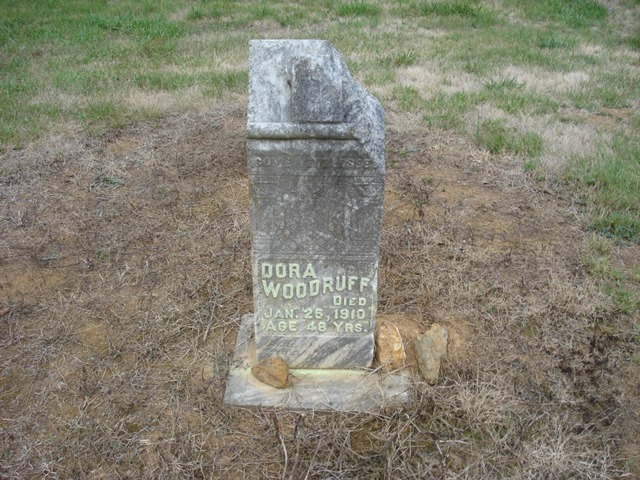 It is 0.3 mi south of Prior Station Rd. and is about 10′ off the RR in a little triangle. 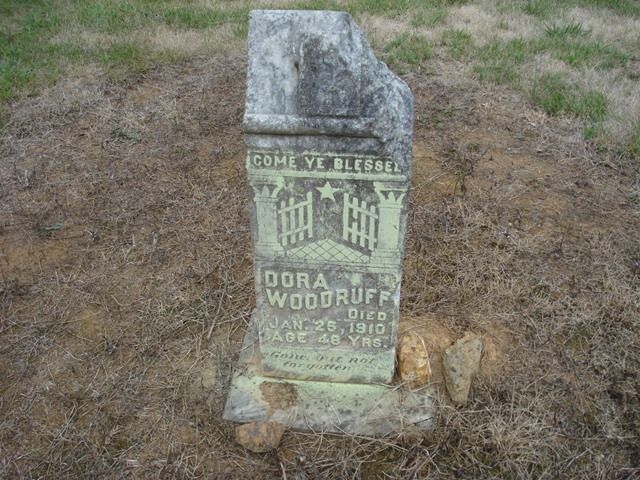 Woodruff, Dora one date 25 Jan 1910 Age 48 yrs.